Finding a fun place to let your hair down at night on Clearwater Beach is not really that difficult. Bright lights and lively music give these locations away. However, to make our list worthwhile, we have include why each of our five favorites have made the list. Tropix is a bar located along the Clearwater Pass, that strip of water connecting the Gulf of Mexico to Clearwater Harbor. This bar includes access to its own tiny strip of beach. It is located at the back of the Quality Beach Resort of well-known Quality Hotel. This made our 5 favorite party places list for being laid back and comfortable. It is an open-air bar, right next to the pool, with very nice views of the water. Cooters is the next Clearwater Beach party location on our list. It made our list because of its ability to seamlessly blend a fun hang out spot that serves alcohol with a great family restaurant. The staff are friendly and laid back. It is located on Poinsettia Avenue that runs parallel to Mandalay Avenue. While it is not on the sands of the beach, it succeeds quite well at being a very beachy establishment. 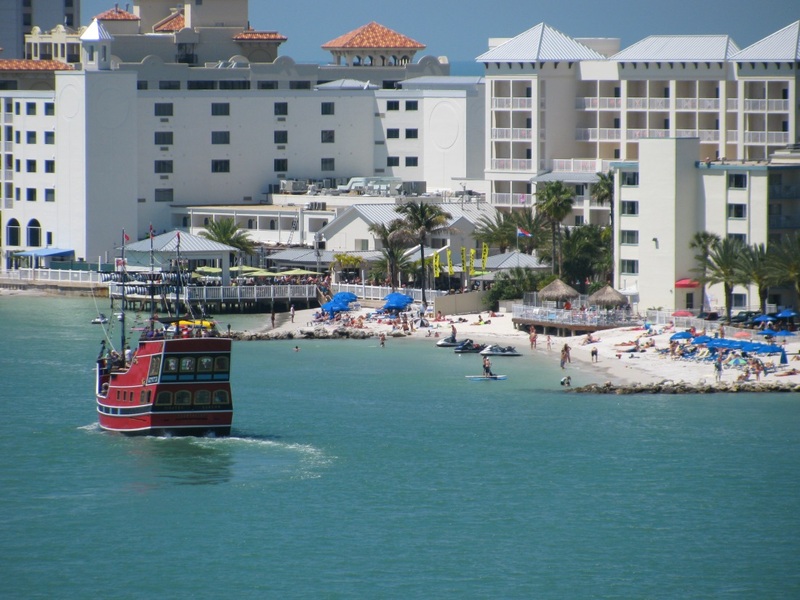 It is also one of the hosts of the yearly Stone Crab Festival at Clearwater Beach. Anyone who knows Clearwater Beach knows the name Crabby Bill. A restaurant by that name sits at the central beach roundabout. 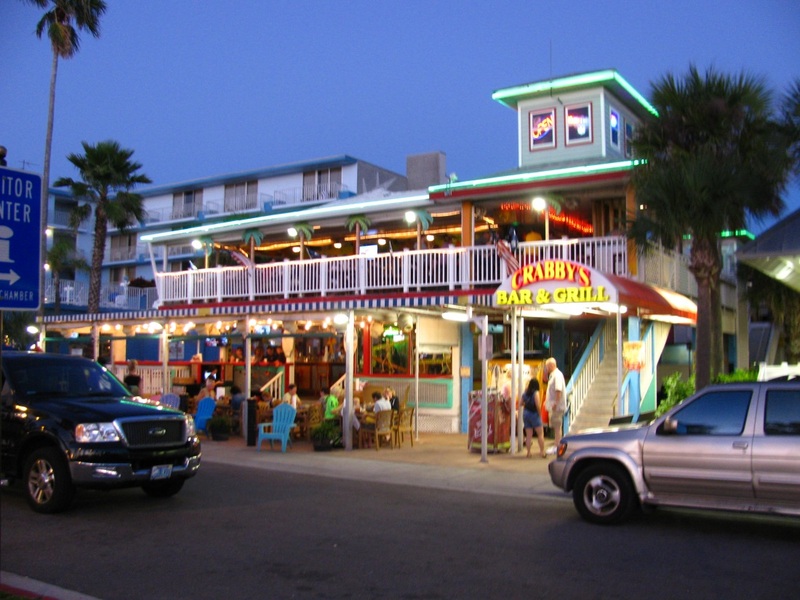 However, the party location of which we speak is on the South Beach portion of the strip and is called Crabby’s Bar and Grill. This two story bar is flashy and bright, yet homey. 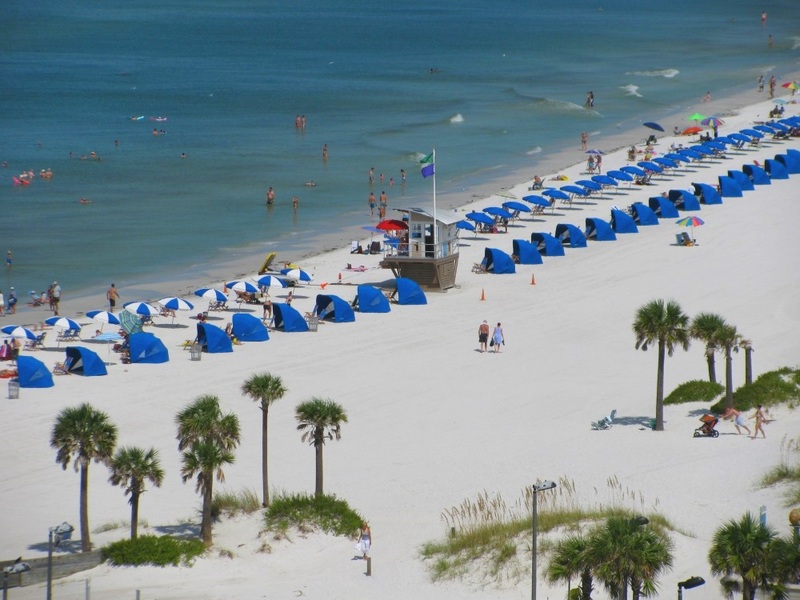 It has fantastic views of the beach and immediate access to and from the popular Beach Walk that runs along the sands of Clearwater Beach. Party with friends and watch the sunset from this quintessential beach bar. The Brown Boxer is located on the north end of the business district of Clearwater Beach on Mandalay Avenue. It has made our list of beach bar favorites because of two very important words, Happy Hour. Don’t let the terminology fool you however, because the happy hour specials at the Brown Boxer go from 11Am to 7PM. That’s quite an hour. Enjoy discounted drinks and maintain your center by eating happy hour chicken wings. 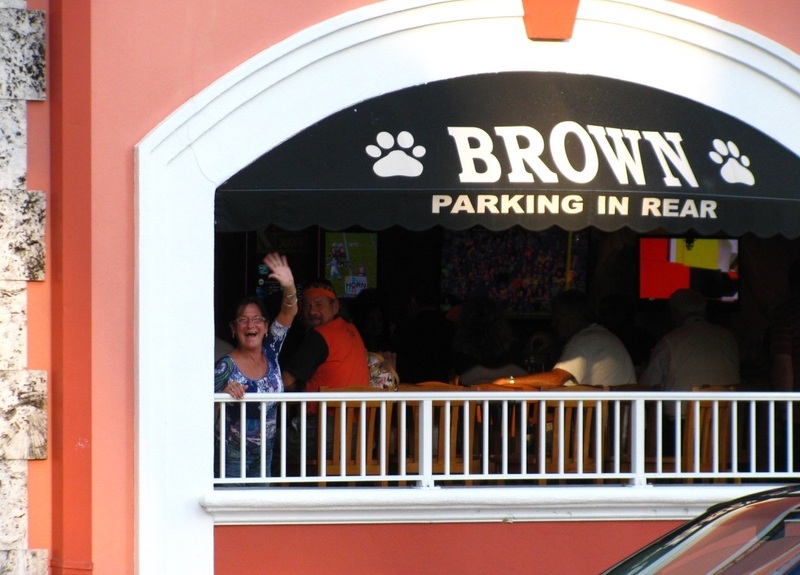 You can even lean over the railing and wave at us here at the Florida Beach Rentals office. As a disclaimer, there is no guarantee that we will see you waving. 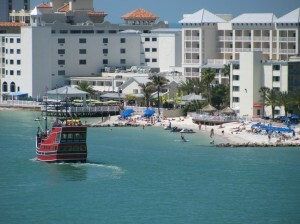 Anyone who has strolled or driven Clearwater Beach after dark has surely discovered Shephards. 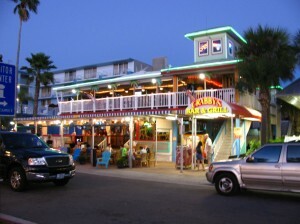 Their rocking live music is a well-known beacon to beach bar party seekers. Have your smile ready at the door, as well as a high tolerance for ear thumping tunes and wild times. Shephards is an establishment for those who take their beach bars seriously. It has two options for night-clubing as well as a restaurant. 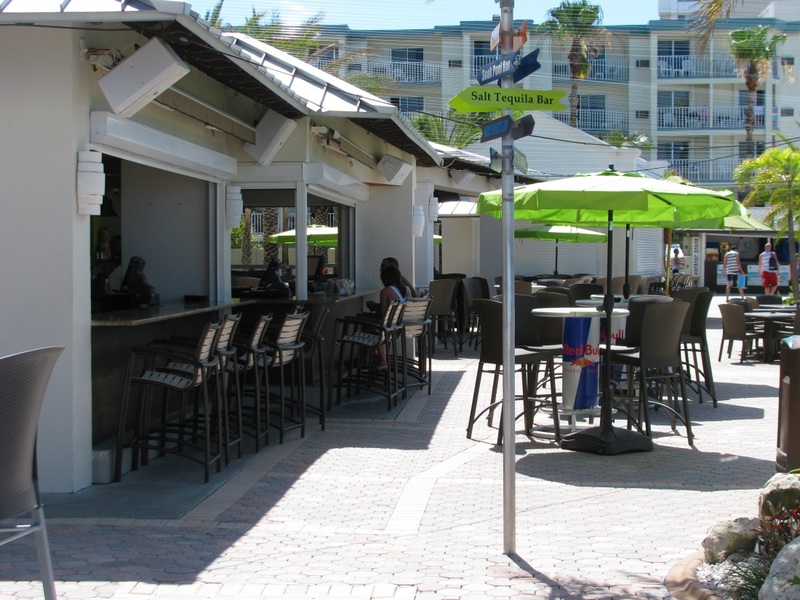 Shephard’s Tiki Beach Bar has a waterfront deck facing Clearwater Pass. 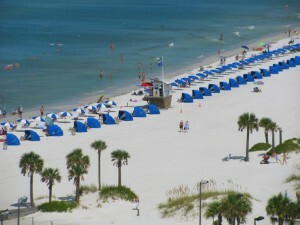 Florida Beach Rentals manages vacation rentals at the Coconut Cove, sister hotel to the Quality Beach Resort mentioned above. That means that anyone staying in Coconut Cove has access to the beach and swimming pool at the Tropix Island Tiki Bar.